It told Bursa Malaysia on Tuesday that the project, awarded by the Sarawak government, comprised the design, construction, fitting out and exhibitory for a world-class museum and an adjoining annexe building with a combined floor space of 30,000 sq m.
The annexe building will include both an administration area and storage and conservation facilities up to international museum standards. The project, to be completed by the first quarter of 2020, also includes a heritage trail in central Kuching as well as the period conservation and exhibitory for the three existing historical museum buildings and of a pavilion. It was earlier reported that Sarawak Museum’s Dewan Tun Abdul Razak, ancillary office building and exhibition centre would be demolished and replaced with the new museum. The museum’s old wing has a history going back to 1891. It was expanded to its present form in 1911. However, Dewan Tun Abdul Razak was built to be a legislative assembly hall and served that function from 1973 to 1975. It was only opened as an exhibition gallery under the museum in 1983. Sarawak Museum Department director Ipoi Datan told reporters in December 2013 that the building was not custom-built to serve as a museum. “We need a building which is custom-built for the museum’s needs and requirements, with all the facilities and space usage. That’s why it has to give way to a new building,” he had said. He was quoted in a report as saying that the new campus was the only custom-built building undertaken by the State Museum Department since its inception more than a century ago. 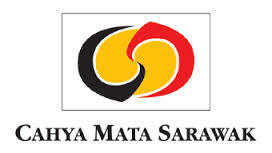 Cahya Mata Sarawak said the contract was expected to contribute positively to the future earnings of the group for the financial years ending Dec 31, 2015 to 2020.